← Happy 144th Birthday, Madam C. J. Walker! We are thrilled to announce that Villa Lewaro, Madam C. J. Walker’s Irvington, New York estate, has been named a National Treasure by the National Trust for Historic Preservation. Many thanks to Brent Leggs, to Harold and Helena Doley (the owners and stewards of the home), and to our friends at the National Trust and the Rockefeller Brothers Fund, who have helped make this possible. To learn more, please visit the Villa Lewaro page on the National Trust’s website and the website of A’Lelia Bundles, Madam Walker’s great-great-granddaughter, biographer and president of the Madam Walker Family Archives. 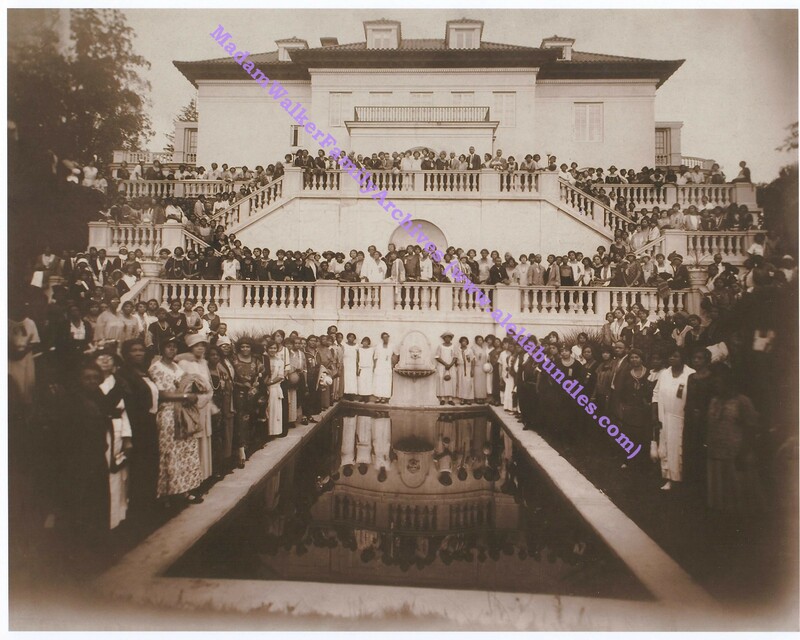 This entry was posted in Uncategorized and tagged Madam C. J. Walker, Madam Walker, Madam Walker Family Archives, the National Trust, Villa Lewaro. Bookmark the permalink.